Mi MIX 2 underscores Xiaomi’s commitment to being at the forefront of technological innovation while making these innovations affordable to the widest possible range of consumers. 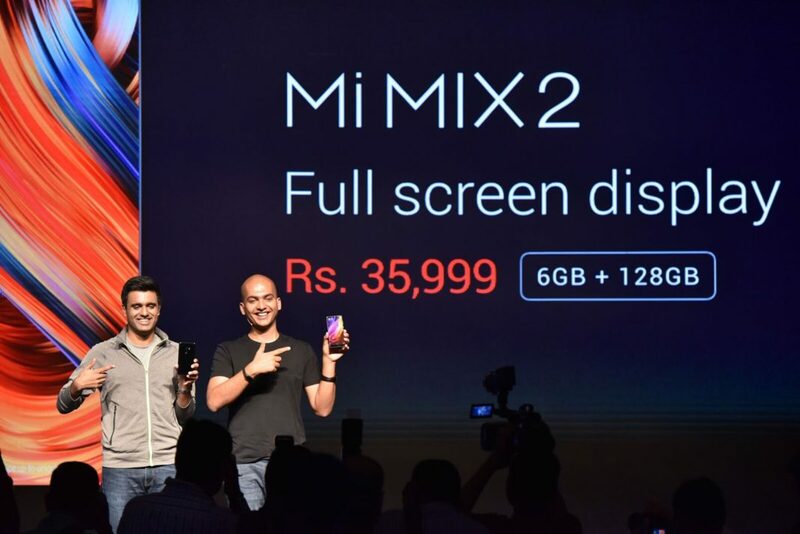 Global technology leader Xiaomi today became the first to launch a truly full screen display smartphone in India with Mi MIX 2, a gorgeous evolution of Mi MIX, the revolutionary concept phone unveiled a year ago. Introduced as a concept device last October, Mi MIX delivered an unprecedented screen-to-body ratio that heralded a turning point in the design of smartphones. Mi MIX redefined the smartphone user experience as the first Android-based device with a 17:9 aspect ratio high-definition screen and rounded display corners, which helped pave the way for Google’s Android CDD (Compatibility Definition Document) eventually allowing screen aspect ratios beyond 16:9, as well as rounded display corners. Mi MIX 2 builds on the foundation of the original concept. It is now 11.9% smaller than Mi MIX. Instead of the piezoelectric speaker solution in Mi MIX, the second-generation uses a hidden speaker that only takes up a thin sliver of space between the top edge of the phone and the screen. 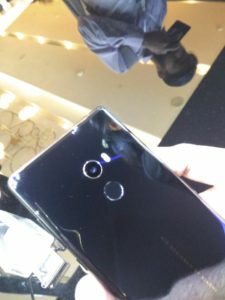 At the same time, the front camera remains at the chin and Mi MIX 2 continues using the ultrasonic proximity sensor. This allows the device itself with all the components to fade into the background, while the focus is entirely on the screen. With 43 network bands in total, Mi MIX 2 is a truly global smartphone that can be used almost anywhere in the world, perfect for travelers who may frequent places with different networks. Mi MIX 2 delivers the ultimate high-performance experience, powered by a Qualcomm Snapdragon 835 processor. It also uses the latest Sony IMX386 sensor in its 12-megapixel camera, and comes with 4-axis OIS that reduces the effect of handshake or motion, so images and videos remain sharp. Mi MIX 2 will be available in a 6GB + 128GB version in India, priced at INR 35,999. There will be a special preview sale for Mi Fans on 17th October, at 12 Noon on Mi.com and Flipkart. Following this, Mi MIX 2 will go on sale across Mi.com, Flipkart, all Mi Home stores, Mi Preferred Partner stores, and Large Format Retail Partners during the first week of November.